Whenever I mention unschooling people ask me how it is different from regular homeschooling. It occurred to me I’d never written a ‘what is unschooling’ post before. So here we are! A life without school. Pretty simply unschooling means not sending your kids to school, and not creating a school-at-home environment either. Unschooling is a complete rejection of the concept of traditional schooling. Not equating education with curriculum. Unschoolers don’t use a curriculum. Education is not a step by step linear process, and a one-size-fits-all curriculum is not what unschooling is about. Children learn whatever they are interested in! They’re also free to not learn about things they have no interest in. Letting children control their own education. One of the most controversial points of unschooling is that children themselves are the ones in charge of their own education. Most people think that kids are not capable of this. That we must put them in schools and tell them what they need to know. Unschoolers believe that children should be the ones leading the way in their own education and that they are very capable of doing this. We believe it is their right to be able to choose what interests them and how they will learn about it. Learning is always consensual. There is never any forced learning! Trusting children will learn all they need to know. We believe that children will learn all that they need to know for their own life. We trust that children will learn when they are ready and interested, even if that means on a different timeline to schooled children. We don’t worry if they’re not interested in learning to read at age 5 for example. Eventually, when they are motivated and it is important to them, they will want to learn to read, and they will most likely teach themselves. Extended to other areas of life. 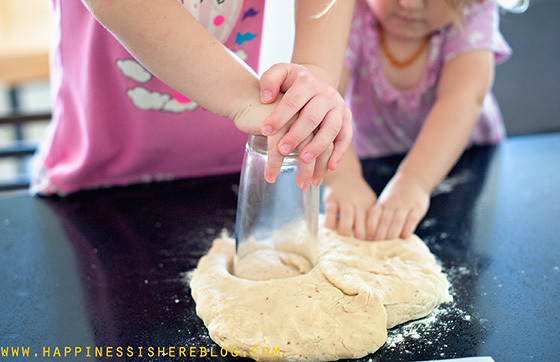 When you start unschooling and you start to trust children more and more, don’t be surprised if this trust seeps into other areas of your life too. When you see how truly capable kids are, you are given a new perspective. You know that they deserve to be respected and given the opportunity to make their own choices. Unschoolers parent respectfully, not using punishments and rewards. Unschooled kids are in control of their own lives, with guidance and support from parents. They pick their own bedtimes, choose what and when they eat, choose their own clothes, etc. Prioritising Relationships. Unschoolers value family and relationships over the demands of society. Having ample time together, deepening connections, and spending their childhood with them are equally important parts of this journey as the educational aspect. Unschooling is a lifestyle choice. Learning from life. Many sources and many people. Unschoolers learn from the world around them! 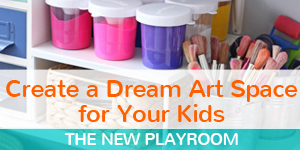 Parents provide lots of opportunities and resources for kids to learn in a hands on and real world way. We give them many many experiences so that they have a chance to find what interests them. We support and guide them with whatever they need to do. We involve others in the community, extended family members, and even take classes sometimes, learning from lots of different inspiring people. Amazing. The thing I love most about unschooling is the freedom. We are not tied to school schedules. We can follow our own pace of life and really truly get to know each other and enjoy each others company. Children can spend their childhood playing, as they should be able to do. Unparenting. When people first hear of unschooling they might think it sounds like parents doing not much at all and leaving the kids to ‘run amok’. Not so! Parents are always there helping, guiding, listening, and involved. There are also boundaries and limits, it’s just that they are not enforced in an authoritarian manner. We work as a team! 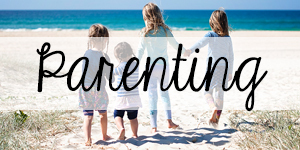 Unschooling parents are incredibly involved and proactive. Because we’re not relying on a set curriculum we really have to be present and attentive, picking up on what our children are learning and how best to support them with that. Compatible with school. Generally, unschooling is not compatible with school, being that the name itself means the opposite of school! You can’t unschool on the weekends for example, just as if you work you aren’t unemployed on the weekends. 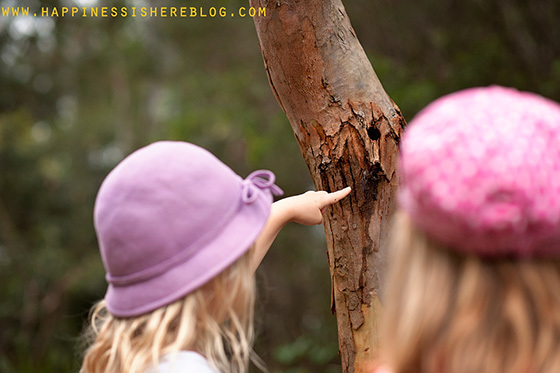 You can support natural learning on the weekends! And that’s fabulous and I hope lots of parents are doing that! But I wouldn’t call it unschooling. Only for some subjects. You also can’t really teach some subjects like Literacy and Maths in a traditional matter, and then unschool the rest. I mean you can obviously, but that’s not representative of what unschooling is about. Unschoolers trust that their children will learn everything they need to, this includes all subjects. If you teach them some and then let them learn others at their own pace then you risk sending the message that you don’t really trust them and the learning process. This obviously doesn’t align with the idea of unschooling. We also don’t value one subject or skill more highly than another. Whatever a child chooses to pursue is important. Standardised tests. If a child learns something and no one is there to administer a standardised test, did it really happen? Unschoolers would say yes! School gives the impression that no, it didn’t. School requires children to prove their learning (or memorisation at least) before they are allowed to move on the further learning. Unschoolers don’t need tests to know that children are learning. They are closely involved so they see a lot of it, and they trust children to learn what they need. We don’t learn in order to meet the requirements of other people. There is no jumping through hoops or asking our children to prove their learning constantly. We are even happy for them to keep some of their learning private if they wish. Socially isolating. All the unschooled kids I know have lots of friends! We see them all the time and there are SO many events on for home educated kids in our area. We could attend something every day if we wanted to. Unschooled kids socialise just fine. 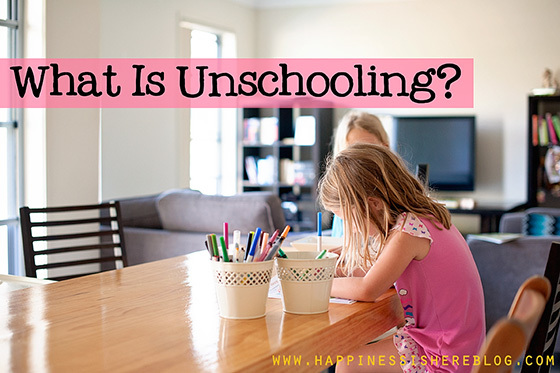 I hope that gives you an understanding of what Unschooling is! It’s not a club with exclusive rules or anything and no one’s trying to make people fit the requirements to join (obviously, we don’t force people, ha! ), but those are the general ideas that people who unschool follow. And that’s what we do! 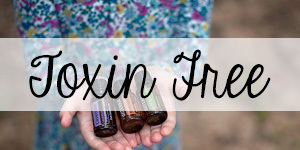 It’s fabulous, and freeing, and amazing! 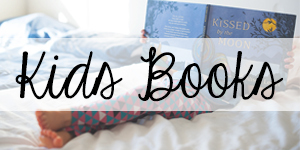 If you’d like to read more about unschooling, you can find my favourite resources here. Agree completely with this description. 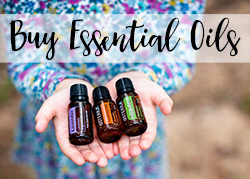 Love the emphasis you’ve included on family connection and the fact that it’s not unparenting! Curious to know, did you always start out with the intention of unschooling, or like me, discover it on the way to homeschooling? Love the B&W image of your girls-just beautiful. Hi Clare! No, I actually didn’t start out with that intention. I did like the idea of natural learning and planned to let them learn through play for much longer than they would have at school. But as I saw how much they learned before I even started to ‘do’ anything I really couldn’t see there was any need to change things. And here we are! We have been unschooling for 5 years, from the start, sans a week as a newbie homeschooler who thought school had to be done at home. That sucked. We stopped. Now, my oldest is a senior and in charge of her education. She is taking a “gap” ywar next year to learn more about herself. My youngestis 8.5 and just learning how to read. It is all good. Only downside is we now live in NC which requires a yearly standardized test. 🙁 no way around it. Oh bugger about that. But much better than the alternative! I have found the standardized tests are actually a great way to see just how and what the kids really are learning. And it proves that yes they are learning even if I have nothing to show for it. They do, and that is what actually matters anyway. I am from Alberta and we dont have to do the standardized tests but i choose to. They are skills tests though and not curriculum based. I have hraduated three so far. 2 more to go. 8.5 and just learning to read??? How does an 8 year old get through with JUST NOW learning how to read. Also, what type of employment prospects does an “unschooled” child have especially if they are just learning to read at 8. Even if they decided to skip college (I get college is not for everyone) they aretoing to be hard pressed to even run a business without strong reading, writing and math skills. I mean heck you can’t even fill out a welfare form if you can’t read? Are you serious? LOL. They’re not filling out job applications at 8. What are you even talking about? Children who learn to read later and on their own terms are often much stronger readers than those who were forced to learn early and learn to hate it. This is such a great post. It explains what unschooling is clearly. I have just subscribed to your blog and look forward to reading future posts. I have just written a book called, “7 Steps To Beginning Your Unschooling Journey” in which I also try to explain what unschooling is and what core values are as unschooling parents. 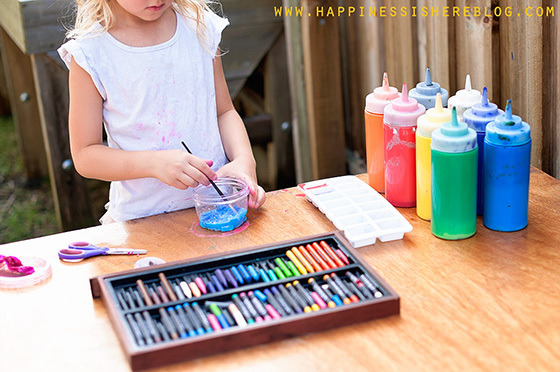 There are so many misconceptions about us unschooling families. Thank you for tackling the one about it not being “Unparenting”. Your article is very enlightening. I have one question. Do you put out prompts and play inspiration. Do you do any prompting from when you see a beginning interest, or do you wait for the kids to come to you asking for help. Thank you for your thoughtful response I really appreciate it. I’ve always wondered about this. It sounds logical but I have a question. Do they ever get a high school diploma or any sort of assessment around the age of 18? What do they do of they want to go to college? Thanks!! You have absolutely nailed this I totally agree..my second time around and I totally when I home ed the first time my son was once he got going unwittingly unschooled him until he wanted to read and write and I just followed the cue…..This time around with 2 AS. SPD. Delayed speech and language and hybermobility joints and onlu 22 mo ths between them tried the more traditional method but it became quickly apparent I was wasting valuable time and money on obselet resources so equipped now with nothing more than a smart phone and a good mobile and home Internet package 2 galaxy tabs for kids am now unschooling….It is absolutely exhilarating. ..exhausting and best describes as a runaway express train…However the difference in girlie’s is remarkable. .The knowledge and understanding of the world around them is nothing short of amazing…..They have become sponges…..and luckily both seem to develop an instant interest in the others new passion I have learned so much in the short 18 months that we have changed over….The girls are vocalising to everyone eye contact with me and dad too….laughter..happiness..joy…as a family it is more a 3 way relationship Dad is at work so hasn’t really committed to the train as yet…and sadly maybe never will as work gets in his way….and nd this reflects with girlie’s if he is around not quite as much laughter..fun..no singing in the car …However even he omits he never thought it would be possible…2 things I have also learnt they love surprises..and nd nd not so good at premeditated outcomes so any family events they are only told last minute so they cannot have the chance to build up their outcomes..and nd nd nd therefore are now very successfully incorporating family functions etc….melt downs do still happen….but fewer and farther apart and never to the same intensity that they were…. You took the words right out of my mouth! I would also love to find out what other parents do about this situation. When I first took my children out of school (6 months ago) we had 3 months of no screens to allow our family to reconnect and experience “real” life together. Now my two children – 8 and 11 have their ipads back, but at the moment we have set up boundaries to assist them with making healthier choices when it comes to how much time they spend on their devices. I have explained that our goal is to allow them to be able to make their own choices but we have not yet taken that big leap. My biggest challenge is the fact that I was completely consumed by my phone many years ago and I am aware of just how seriously this problem affected me. I too am struggling with this, and am finding that when the children were little it was easy to let them self learn. Now that I have a 12 year old, his choices aren’t always creative for learning and not sure if self direction is the right choice for him. I really liked this, such a great description of unschool! I have tried it all. Public school, charter school, homeschool..nothing really helped my very dyslexic boy learn or want to learn. All of these just increased his anxiety and made him feel like he was not smart. This year I have started unschooling mostly because I just don’t want to do what doesn’t work. But I am afraid to tell my friends because most don’t understand and I feel like maybe I am failing him in some way by not making him do algebra like all the other 9th graders. I look at my son two months into this though and he has learned SO much! He is so motivated to know things. Wow! I love reading these articles because they confirm what I have started to realize about the way to help a child love learning, so thank you! Do you think that this closes a door to ‘higher-education’ opportunities? I.e. College/university, if that’s what your child one day decides they want to pursue. Or even to get a “high-school” diploma so you have an option to apply? Curious your thoughts on this! Do you have to register as a homeschooler in your state? Thanks very much for this post. I have a 12 year old who has anxiety from school and a 3 year old and 1 year 6 month old who I am trying to make school choices for now. I am tempted by the Reggio Emilio school of thought schools, but also very interested in unschooling. I just worry about the toll it would take on me as the parent who has to provide not only care but be responsible for the learning of my children. I mean some days you barely have the patience to get through all the fighting but maybe that is just because I’m currently balancing the stress of a demanding job and being a parent to two littlies. Do you not find this very demanding in you? Or that it really ups your guilt levels when you fail to have the patience to really answer their questions etc? So how do they transition to adulthood? I’m not sure on your question? Everyone becomes an adult simply by getting older. School is not preparation for adulthood, life is, where unschooled kids have been all along. I’m interested in unschooling, but what if you live in a state where it is illegal for a child not to be enrolled in at least homeschool and has at least some mandatory testing even for homeschool? How would you handle that? I was in a conversation last night with a few other moms. 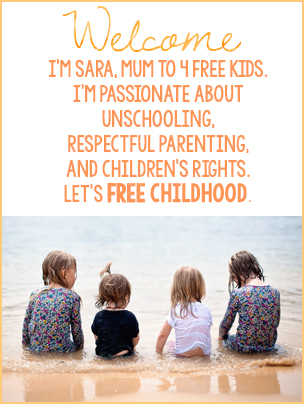 Two of them are ‘unschooling’ with their kids, so I read your blog to learn more about it. I completely support choice, but as a public school teacher, I believe you misrepresent public education in this post. We don’t think that learning didn’t happen if we don’t test it, and we don’t make students pass a test before moving on. I appreciate your clear communication describing unschooling because it helps me better understand my friends’ and neighbors’ choices. Let’s all support and be positive about the different education choices each parent has. I live in Colorado, where children are required to be enrolled in school until the age of 17. Homeschooling counts but is unaccredited. They do require documentation of 172 days of instruction at 4 hours/day and which subjects are taught. I have a teenage daughter who is suffering with mental health issues and we’re in a truancy situation with school. She also failed at online school. I want to “unschool” her but have to meet the state’s requirements. 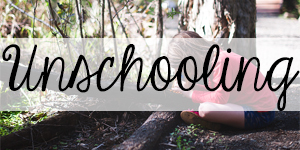 Has anyone else had to document homeschool for their state while unschooling? Any input is appreciated. you cant!!! i am also in Colorado and know its not possible. but you can take the idea and use it in your life/classroom. i have a son much like your child just younger and have done everything to teach him that you just have to get things done the way others want sometimes. as soon as you do that you are free to do things the way you want. just get the bare minimum done and remember that those four hours a day dont always have to be schoolwork! help pay for food(math) go to the zoo(science) use life to teach. and at the end of the week when she has done a great job but didnt make it, LIE!!! if my kid has tried and i see him grow in his knowledge and personality but he didnt make their hours, i will fill in the blanks!! Since people still comment on this page I thought I would give everyone an example of an adult that was un-schooled. I have an unschooled stepson. He is ADHD with an IQ of 148 and spending more time in trouble in the hall than in the classroom. He is now 24 years old and has his own successful business in website design, branding, and social media advertising with 5 employees. He and his very sweet and beautiful wife just bought a fixer-upper home under foreclosure and have a daughter on the way. They’re spending her last trimester designing a video game in their free time so she can stay home and be comfortable. They plan to un-school their daughter as well. I would like to tell a story from our un-schooling experience. He was 13 years old and showing me how he participated in a forum argument. I told him I thought his responses were very smart but that his poor spelling and grammar made him look unintelligent. He immediately got to work on that and today his grammar and spelling are PERFECT! What a great story! Happy to hear everything worked out in the end. Thanks for sharing! I am thinking seriously about doing this for my kids as the schooling is not working well for them. my only concern is if they want to go to college how do you unschool and transcript high school? especially when they have no initial interest in certain subjects. ie. i have a 9th grader who could care less about social studies and science but draws contantly. I have 2 children..they have been the public school system with absolutly horrific expirences..ive been denied the option of homeschooling because of a truancy issue that isnt closed..i want my children out of there wful system ASAP..what is my next step? Nice article! I suggest removing the words“traditional schooling” and replacing it with “conventional schooling”. Our human “traditional” learning goes much deeper than the last 150 years.